ITA: Last call, everyone! Let the FUN begin! 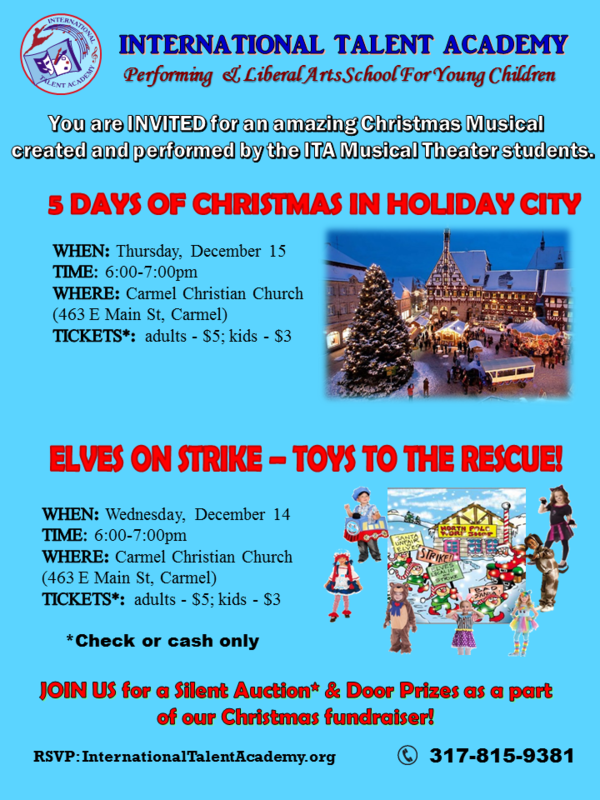 You are invited to our unique Christmas Shows created & performed by the ITA students ages 4-13! 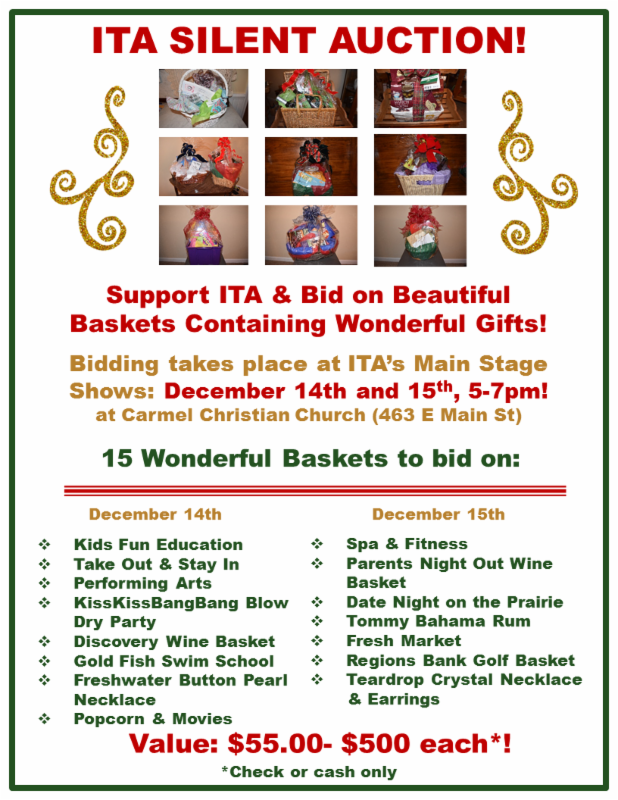 SILENT AUCTION: come & choose your best gift from our thoughtful Holiday baskets as well as get a chance to win wonderful door prizes donated by local businesses! Join us for a Silent Auction & Door Prizes right before & after the shows! WHAT IS ITA? Watch our first commercial created by TV camp students! 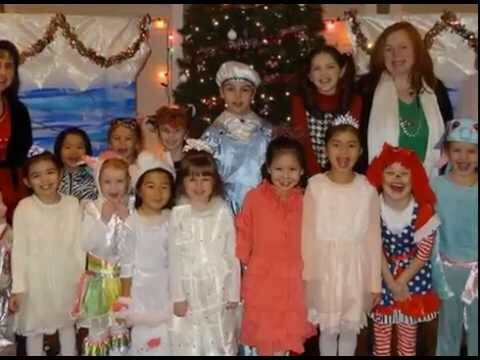 Piano Lessons - Musical Theatre - Show Choir - Summer Camps - Private Group Event - Voice Lessons & more!